Image: Cindy Ord/Getty Images for American Institute for Stuttering. 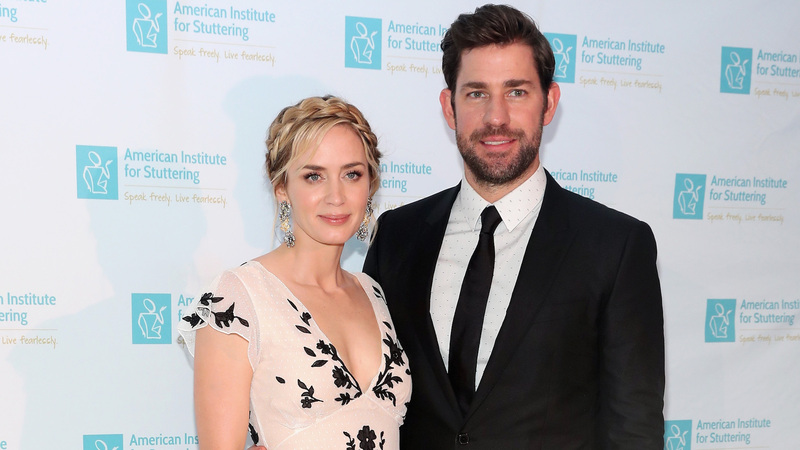 John Krasinski and Emily Blunt have been married for eight years (and officially together for a decade) but that doesn't mean they are a tired old couple. In fact, the pair may be stronger and more in love than ever before if Krasinski's latest, lovey-dovey comments about his wife are anything to go by. In a recent interview with U.K. outlet The Independent U.K., Krasinski didn't just talk about that love, he talked about the role Blunt has played in making him into the man and actor he is today. Krasinski's career hit record highs this year after he directed and starred in one of 2018's most successful films, A Quiet Place. According to him, Blunt played a key role in him getting to sit in the director's chair. “I was originally just going to star [in it but] Emily told me I had to direct it. She knew it was a huge opportunity for me," and so — with the encouragement of Blunt, who also stars in the film — Krasinski took a leap of faith, and it paid off big-time, with the film currently one of the highest-ranked on Rotten Tomatoes and one of the most critically acclaimed of the year. That said, this isn't the first time Krasinski has said something super-sweet and swoonworthy about Blunt. In 2016, Krasinski told the Huffington Post that his wife "is legitimately my greatest achievement, and I’m OK saying that." If that isn't love, folks, we don't know what is.